Forza Horizon 4, meanwhile, only gets four of 'em. Modern Forza games can reasonably be described as some of the greatest Hot Wheels car sets to ever be assembled. 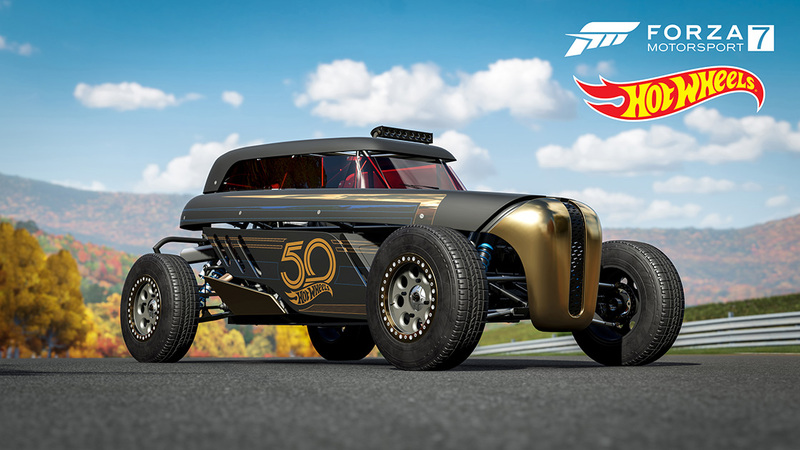 Now, the racing franchise is fully leaning into that reputation with the release of its latest car pack celebrating the 50th anniversary of the toy-car maker. 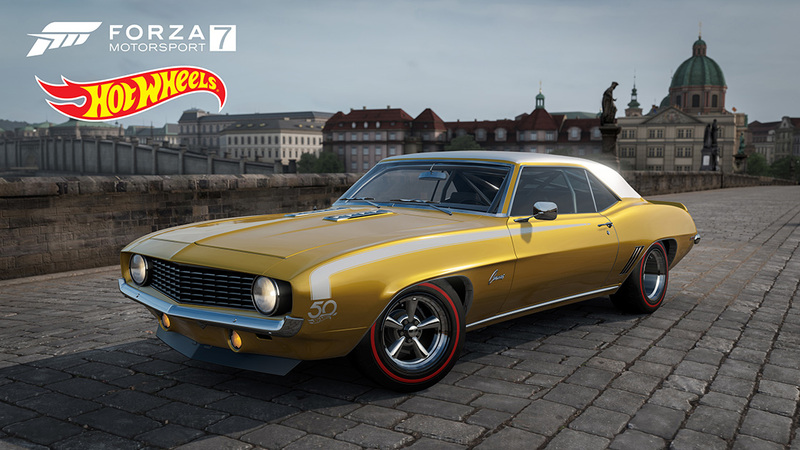 Starting this Tuesday, Forza Motorsport 7 players will get access to seven Hot Wheels-branded cars free of charge. 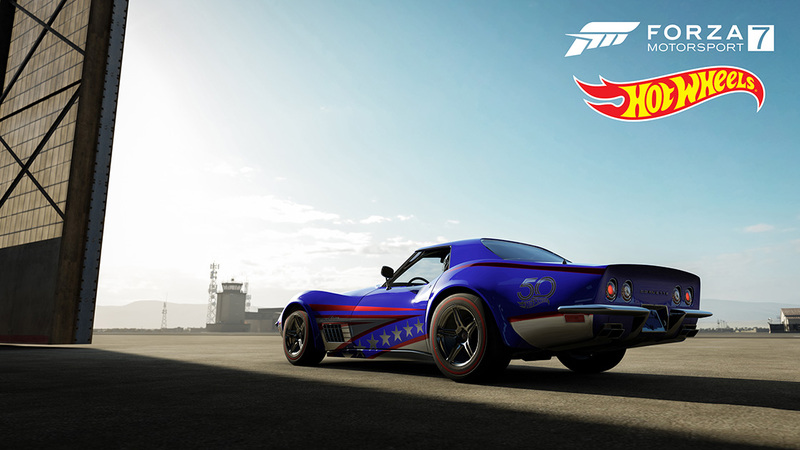 Specifically, gamers can hop behind the wheel of a few custom, fantasy hot rods made for the toy aisle: a modified 2005 Ford Mustang, 1969 Chevrolet Camaro, 1970 Chevy Corvette, and a 1963 VW Beetle. 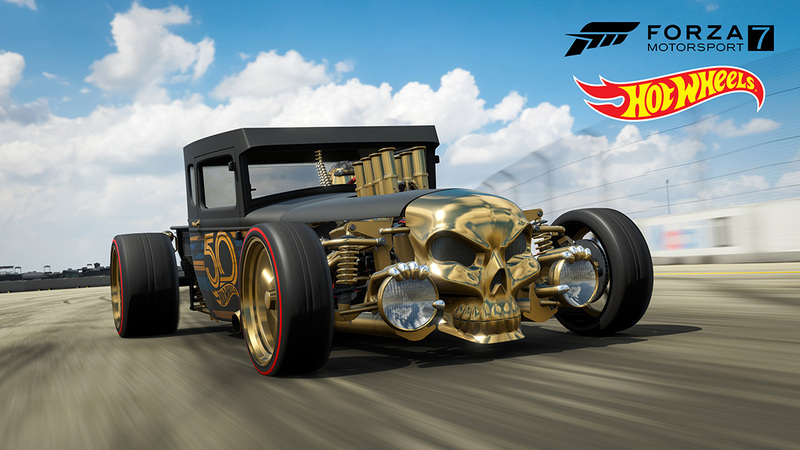 While Motorsport 7 players get all seven rides dumped onto their laps at once, Forza Horizon 4 gamers, for some reason, only get four of 'em, namely the Bone Shaker, Rip Rod, Twin Mill, and the Mustang. They'll be trickled out over the course of several weeks, keeping in tune with that game's revised, two-cars-a-week DLC schedule. 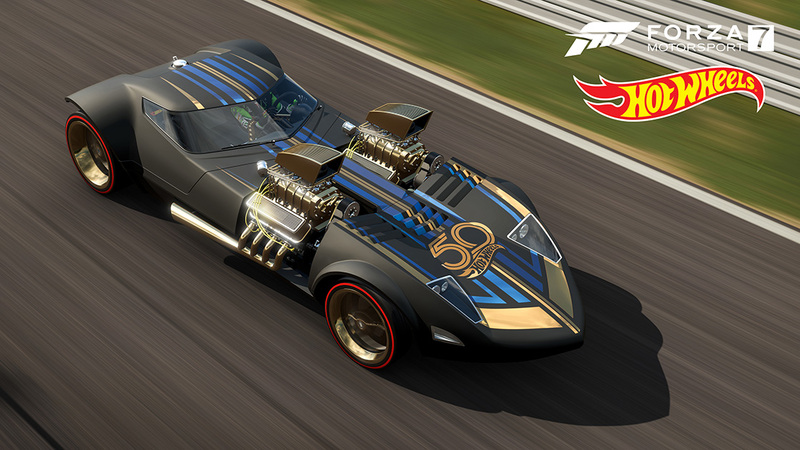 The Twin Mill is already available in the open-world spinoff. 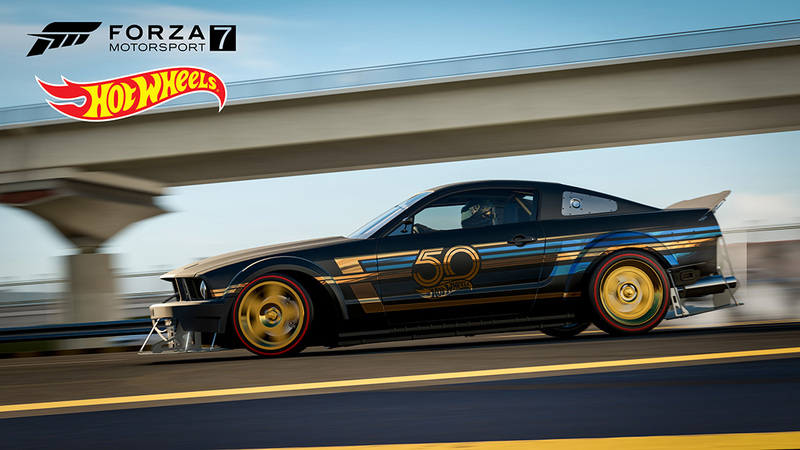 Switching focus back to Forza 7, the track-based race franchise will also get six new Hot Wheels-branded racing suits. While one 50th anniversary suit will be given to all players, the other five are only unlockable by completing in-game tasks. This isn't the first time the Xbox racing series and Hot Wheels have teamed up. 2016's Forza Horizon 3 featured an entire Hot Wheels-themed expansion map made entirely from those signature plastic, orange tracks. Forza Motorsport 7 and Forza Horizon 4 are available now on Xbox One and Windows 10. The downloadable cars and themed arena will be available Sept. 24. Nonstop, open-world fun in the wildest Forza yet. 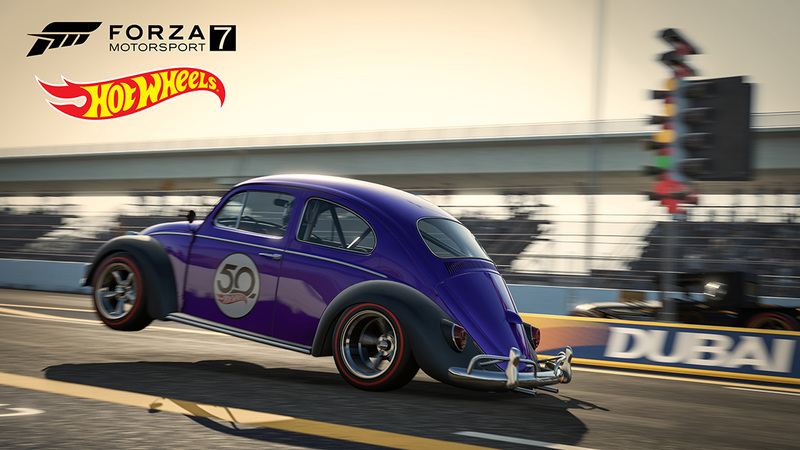 Developers Turn 10 have confirmed they are not currently working on Forza Motorsport 8.